Marcus Peters, University of Washington Huskies star cornerback was drafted Thursday night by the Kansas City Chiefs with the 18th overall pick. The Washington standout/ne’er-do-well, blessed with dangerous streaks of ability and a temper to match will join a crowded defensive backfield in KC. Peters, rated by many NFL front offices to be the most complete cornerback in the draft also had a career full of attitude and problems off of the field. Marcus was dismissed from the Huskies football team in November, by first year head coach Chris Peterson. Since then he has done sufficient damage control to rehabilitate his image in the eyes of some NFL scouts and front office types. Even though he had 1st round ability, Peters also had 1st class question marks surrounding his character. Many NFL teams had removed him from their draft boards(which means that they would not have drafted him no matter what). Peters joins Huskies teammates Danny Shelton and Shaq Thompson as being 1st round picks from UW. This was a historic feat for the UW because the school has never had 3 first round picks in the same year. The Seattle Times did a great write up on it. UW Edge rusher Hau’Oli Kikaha was drafted by the New Orleans Saints with the 12th pick of the 2nd round. That means that the UW had all three of its All-American players, and Peters, drafted in the first 44 picks of the NFL draft. Somehow with that level of talent the Huskies only managed the nations 80th ranked defense last year. Coach Peterson has his work cut out for him in 2015. 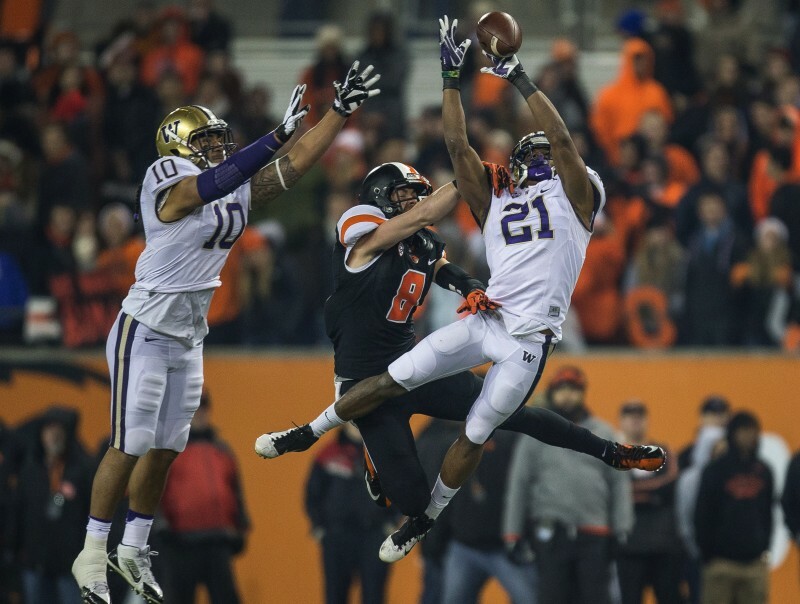 Peters was the best pro prospect for the UW Husky football team this past year. In the end the Chiefs must think that they can help mold him to become a top defensive player. KC Headman Andy Reid, is famous for using talented defensive backs in a variety of defensive formations, schemes and match ups. Peters is the most well-rounded cornerback in the draft according to Jon Gruden. KC had needs elsewhere on their team but saw the immense potential in Peters and decided that they will be happy to have talent on the field and figure out a scheme to fit it. I think that they call that process coaching(see Seattle football club roster contraction circa 2010-2011).